This Article (pdf) has been published in JEC magazine no. 103, March 2016, Special JEC World. Summary: Where can process-know how and robot based optical preform measurement get you? 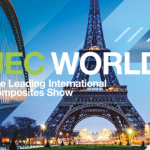 The reduction of production costs and the realization of lightweight targets for composite forming parts can only be successfully achieved by thinking and planning quality aspects in an integral way. Using the example of automated preforming, the article introduces a holistic development approach, which covers process selection and process design as well as error detection and mechanical analysis of manufacturing effects on the part performance with robot based optical preform analysis. For series production of composite parts, some of the most important challenges are quality, reproducibility and reliability. Fabric forming technologies show a high potential for automation and are suitable for medium to high volume production when they are combined with LCM processes. For overall quality issues, the process step “preforming” plays an important role. Defects that occur in this stage can lead to rejection of whole preforms, influence following process steps or result in damage of tools due to folds and wrinkles. Beyond that, geometries not suitable for composite forming can cause time-consuming modification loops of the manufacturing tools. Furthermore, the fiber angles and other quality aspects that dominate the final mechanical properties are revealed only after forming on the geometry. Since the actual preform quality and their structural impact are typically unknown, composite parts tend to be overdimensioned to compensate uncertainties related to the part quality. Fiber sliding, fiber waviness or the loss of structural integrity of the fabrics have direct influence on the part performance, but are rarely taken into account in the initial component dimensioning . 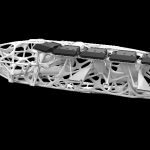 Therefore, a holistic quality approach contributes not only to the reduction of production costs, but can also improve the lightweight potential and structural performance if already embedded in an early stage of part and process design. 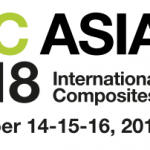 High performance composite parts show a strong interaction between the manufacturing process and the lightweight design objectives. 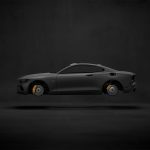 The sooner these dependencies are considered in the overall development process, the faster the development cycles for new parts and products can get. The presented approach for holistic quality optimization of composite forming structures is based on the four pillars process planning, manufacturing, defect analysis and structural analysis, where all domains require an exchange of information with each other (Figure 1). In this context, local quality criteria for preform production result from numerical analysis since global limiting samples do not meet the complex stress behavior in composite materials. 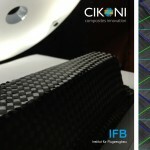 For CFRP forming processes, the achievable quality depends on the system of geometry, fabric and process and is strongly coupled to the resulting mechanical material properties. These complex interactions have to be taken into account during the planning stage to assure optimum solutions. Database tools can provide the required process knowledge for a bottom-up process selection but cannot replace detailed studies with coupled process and part simulation, which is done for preforming processes by using draping simulation . Beyond the knowledge about possible optimization strategies within the process, this requires also meaningful material characterization on the fabric level. Figure 2 shows examples for shear, binder and interaction characterization. 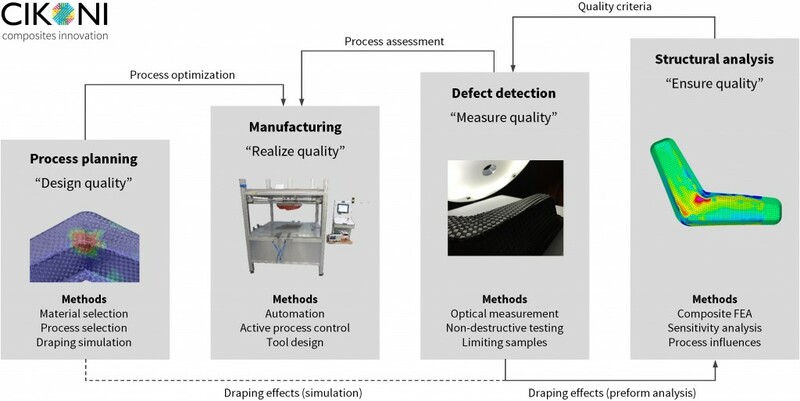 Based on experimental measurement of the fabric integrity and the assessment of formability, the draping characteristics of different fabrics can be determined and the producibility of a part can be studied using simulative methods . In order to guarantee fast process development, module based morphological methods are used. This leads to high transparency and cost control for the costumer and helps to build up a systematic development already in the planning phase. For example, the degree of automation and the quality demand can be adapted to the customer and part requirements. Numerous possibilities to improve the part quality (e.g. by active material manipulation systems and tool design ) can be integrated. Benefits are particularly evident for components which previously have been manufactured using a cost-intensive prepreg process. Those components can now be produced efficiently for a lot size range up to 10.000 pieces per year with simple automation solutions by using high quality preforming of textiles and subsequent liquid resin infiltration. Especially process design and layer sequence show a huge influence on the achievable preform quality. Using the example of multilayer draping of fabric semi-finished parts on an L-shaped geometry, Figure 3 shows two preform results without (A) and with active material guiding system “Tailored Drape” (B) . The area of heavy fiber waviness in the central part of preform A can be reduced significantly by adapting active process control and by changing the component design. Particularly for complex shaped geometries, highly stressed components or visible surfaces, the use of ply specific material manipulation systems and active friction reduction for multi-layer forming has been proved effective . 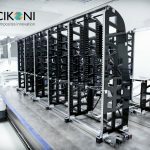 Automation is only applied where it is useful for part quality and therefore the given high quality can be achieved with a minimum of costs for small and medium volume production. In order to assess the resulting preform quality of different process variants during development and in the series production, relevant features are measured on the formed part. For this task, a robot based optical sensor for preform analysis is applied, which was developed at the Institute of Aircraft Design in Stuttgart in cooperation with FIBRE in Bremen . The system allows automated, high-quality capturing of the surface texture of complex part geometries and the subsequent detection of fiber angles, waviness or gaps based on image analysis (Figure 4). The process chain for 3D preform analysis covering the whole part surface consists of a virtual image planning and robot programming step, the optical capturing of the part and the subsequent mapping of measured fiber angles to a costumer specific FE format for visualization and processing (Figure 5). This means that measuring results are available in the same format as the results from draping simulation and therefore fit perfectly inside existing CAE process chains. Preforms A and B of the L-shape are captured and compared using the system (Figure 6). The influences of process handling on the resulting shear angle of the formed fabric become visible and assessable. 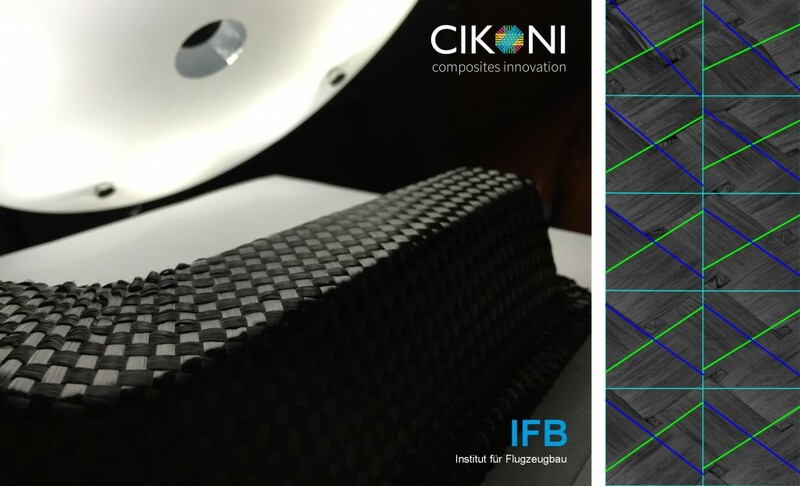 The system therefore helps to improve the development processes of CFRP parts as it enables accurate evaluation and documentation of fiber orientations. Furthermore it is suitable for quality assurance within series production and the analysis of scatter during preform manufacturing. Using numerical simulation methods, the influence of preform quality on mechanical performance can be evaluated at an early stage without the necessity of extensive experimental testing. 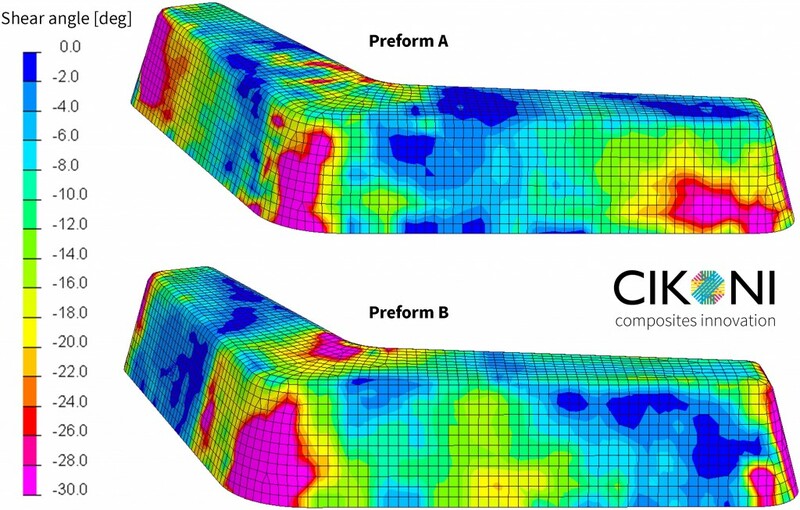 Therefore, the measurement results of the 3D preform analysis are mapped directly onto the FE model. The boundary conditions of a numerical test case are shown in Figure 7 using the example of the L-shaped form using the fiber angles from the preform measurement. As reference, an additional model with idealized fiber orientations is considered, where process influences are neglected. This simplification is typically used during part dimensioning today. The evaluation of maximum ply stresses in transverse direction (Figure 8) clearly shows the influence of draping. While the model with idealized fiber angles predicts very low transverse stresses, the fabric shearing caused by draping in preforms A and B leads to stresses of about 25 MPa in transverse direction, which is already a critical level for the appearance of inter-fiber failure. The improved quality of preform B leads to lower ply stresses and less displacement under loading conditions. The latter is about 20 % lower compared to preform A and about 10 % lower compared to the idealized model with projected fiber angles (Figure 9). 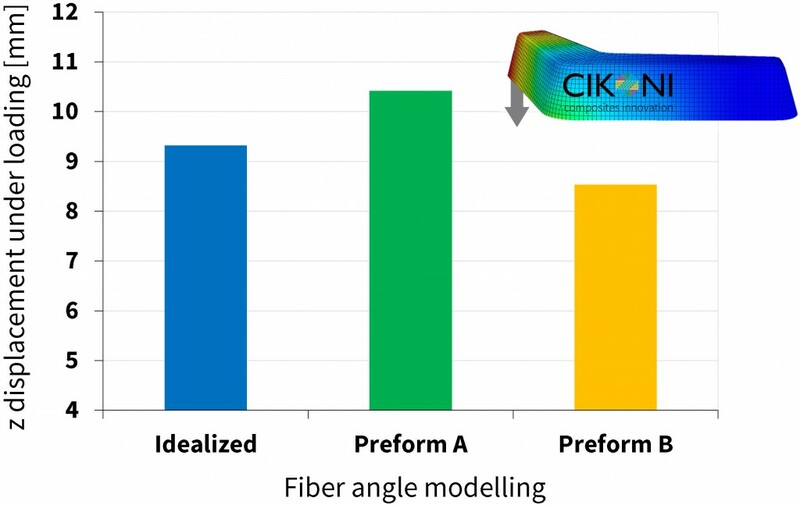 This example demonstrates the necessity to consider real fiber angles in the structural simulation of composite parts, as they strongly influence the overall structural behavior and the anisotropic ply stresses. An idealized approach can however lead to serious risks during part dimensioning. By using failure models, the real fiber orientations can be applied in a similar way to improve strength and damage prediction in crash simulations . 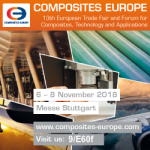 In order to establish CFRP as a lightweight material with high quality standards which is suitable for series production, holistic approaches for part and process development are required. This was demonstrated here by using the example of automated preforming. A close coupling of part development, composite manufacturing, failure detection and structural analysis provides a basis for high quality, reliability and optimum use of the lightweight potential. At the same time, this enables the costumer to reduce production costs. Based on the present knowledge for process development, low-cost automation solutions can be provided even for small and medium volume production. 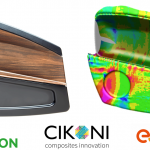 The combination of optical preform analysis for the assessment of quality and numerical simulation creates the opportunity to define local quality criteria that suit the nature of composite material. This in effect leads to more degrees of freedom for active process design and lowers the requirement for cost-intensive quality improvement within zones with minor structural sensitivity against process influences. Michael Freitag: Produktionsprobleme beim BMW i3, manager magazin, 2014. Thomas Gereke, Oliver Döbrich, Matthias Hübner, Chokri Cherif: Experimental and computational composite textile reinforcement forming: A review, Composites Part A Applied Science and Manufacturing, 2013. 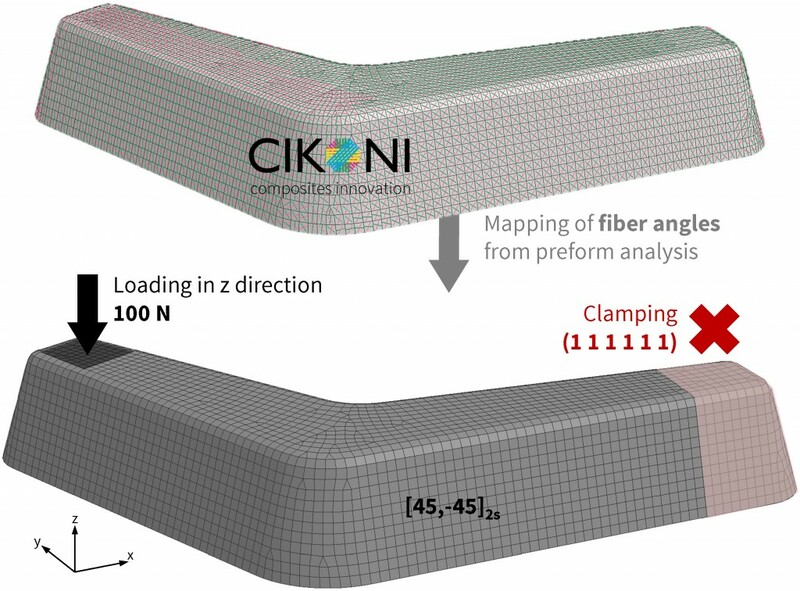 Farbod Nosrat Nezami, Thomas Gereke, Christian Eberdt, Chokri Cherif: Characterisation of the shear–tension coupling of carbon-fibre fabric under controlled membrane tensions for precise simulative predictions of industrial preforming processes, Composites Part A Applied Science and Manufacturing, 2014. 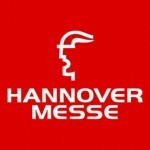 Farbod Nosrat Nezami: Automatisiertes Preforming von Kohlefaserhalbzeugen mit aktiven Materialführungssystemen zur Herstellung komplexer Faserverbundstrukturen. Epubli Verlag, 2015. Frank Härtel, Farbod Nezami, Nicolas Schur: Innovative Preforming-Routen für die Herstellung von CFK-Bauteilen, Lightweight Design, 2015. Jan-Philipp Fuhr, Patrick Böhler, Frieder Heieck, Andrea Miene und Peter Middendorf: Optische Preformanalyse zur 3D-Validierung der Drapier- und Flechtsimulation, Fachtagung Carbon Composites, Augsburg, 2014. Jan-Philipp Fuhr, Nico Feindler und Peter Middendorf: Virtuelle Bewertung von Drapiereinflüssen auf die Steifigkeit und Festigkeit von schichtbasierten Faserverbundstrukturen, NAFEMS Seminar, Leipzig, 2014. Farbod Nezami, Jan-Philipp Fuhr, Diego Schierle, Chokri Cherif, Peter Middendorf: Hochqualitative CFK-Umformteile durch synchrone Bauteil- und Prozessentwicklung. Lightweight Design, April 2016, Volume 9, Issue 2, pp 52-58.